NEW YORK ( Real Money) --When you get the price breaks, do you take them? When you see a sale, do you run to the stock mall, or do you run away from it? I think most people don't take the breaks because they don't know how to spot a bargain. That's because it's not always obvious. It's not like the fight I got in at a Vanity Fair factory outlet in Reading, Pa., years ago over a pair of Lee jeans that had been marked down to $7 from $26. No one is pulling one pant leg while you are pulling the other. Oh, of course, I got the pants -- the other guy didn't pull hard enough. No, it's much more subjective, much more homework-oriented, but certainly doable, particularly around earnings announcements, provided you have a clear head and know what you need to read in the press release and hear in the conference call. Let's take the three sales that the market put on last night and this morning: the discounts on the stocks of Red Hat ( RHT - Get Report), PVH ( PVH - Get Report) and Five Below ( FIVE - Get Report). Each has its own reason for a markdown, and not all are worth buying because there could be more sales and more markdowns ahead. Just remember that those pants I stole at Vanity Fair for $7 didn't go in a straight line down from $26 -- there were many sale stops in between. Editor's Note: This article was originally published on Real Money on March 28. 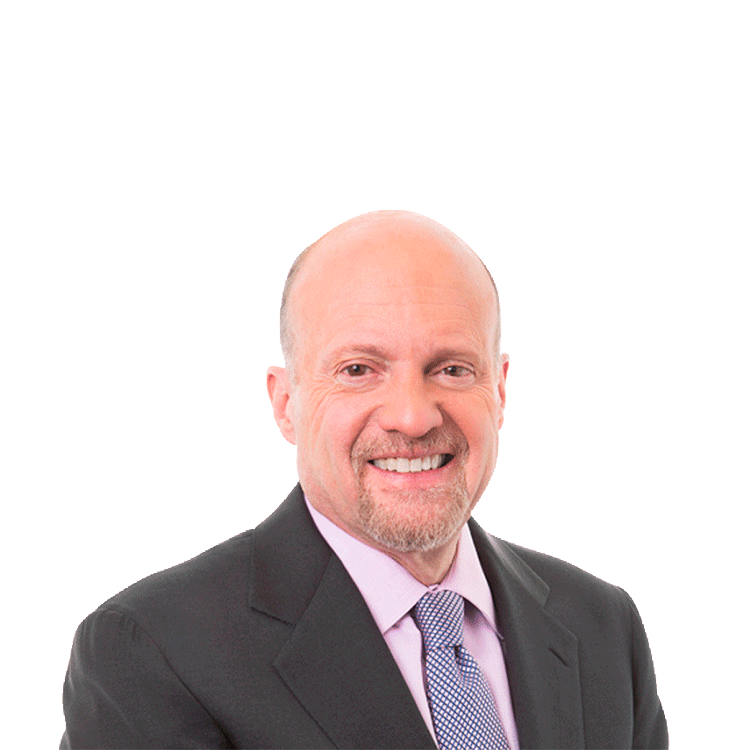 To see Jim Cramer's latest commentary as it's published, sign up for a free trial of Real Money. First, when Red Hat reported, the headlines were dismal: a big guide-down, lots of worries about slowing sales, the endless chatter about a weak government vertical, meaning that Red Hat didn't sell enough service contracts to slimming-down governments worldwide. To me, though, Red Hat is part of a secular wave to save money by going to an open-sourced system, the cloud, and when I got on the conference call, the worries that took the stock down 10% seemed way overdone. That was a huge opportunity, but you had to buy from the panickers, and that's never easy. Plus I don't like after-hours trading. Still, it was there for the taking for anyone who had an understanding of Red Hat and of Jim Whitehurst, the mild-mannered CEO who has been on the show numerous times and who told you not to worry, it was all good. And it was. Then there's Five Below. This $5-and-under retailer is growing by leaps and bounds, and it will be able to add 10 times as many stores as it has right now without a problem. The quarter just reported was a thing of beauty, but the company offered light guidance, in part because of the cold weather, in part because of a distribution center problem and in part because it seemed like the company was more cautious about the future. To me, this is a regional to national retail story, a terrific concept with amazing management and a growth path that could stretch on for years and years. You typically don't get a price break in these, and when you do, you have to pounce. That's Monday's business. Get some. Then there's PVH. This is the toughest of the lot, because CEO Manny Chirico told us last night that he had to lower guidance and reset the whole year, not the quarter. Manny didn't hold out any near-term hope. To me that meant, be careful, you could have a Lee jeans situation. I will sit out that sale and let things shake out. No hurry. We will get a chance, as I don't believe the sellers are finished, and the stock could be in the penalty box for at least a couple of weeks, as the news was truly disappointing. We can circle back to that one. Remember, when you go shopping, you now know to look at the web for competitive information before you buy. Same with stocks: Forewarned by the web is forearmed in the market. Know your expectations and you can make money. If you don't? Stay away from the mall. You'll just get fleeced.